479 video views in 17 days. These are the stats from one of my recent listings to hit the market. That’s roughly 28 views per day. Not bad at all! Youtube.com isn’t the 2nd most accessed search engine on the planet by accident. Falling behind Google, Youtube.com has over a billion users. How in the world did they get so big? Consumers like video. It’s user friendly. It’s always accessible. It is entertaining. It is educational. It captures emotion. It creates a virtual experience. If you had the chance to do all these things with an impactful video displaying your new listing, wouldn’t you? Someone who strongly believes in effective marketing and focusing on engaging the right consumer behavior, I utilize video into all my listings. Not because I think it’s just a cool thing to add to my already aggressive marketing strategy, but because I want my listing to be in front of as many people as possible at any given time. Ultimately, I need my listing to show beautifully every time at any time. Think about it this way, buyers today have a ton of options. They are empowered. 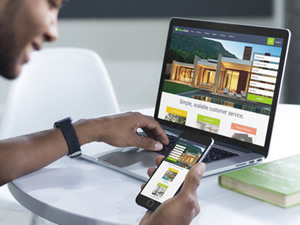 They have a myriad of apps and sites they can shop for homes on. Knowing that, I go the extra mile to ensure that when a potential buyer clicks onto my listing that they can transport themselves into a virtual open house. I want them to experience all aspects of the home and its surroundings. I use the word “experience,” because it’s not just a slide show of cheesy pictures I used my cell phone to take. It’s like walking up to, walking through, and walking around the home. I do pair the video with professional photography as well, because that always helps. Let’s talk about open houses. The reality is I have had 479 video views on my listing. These views have taken place all times of the day and night. There is physically no way that I could have shown this property to that many potential buyers in that short of time period. Therefore, I look at a quality video as my opportunity to present the home in its best shape at the time the buyer is interested in looking at it. Without it, I would have potentially lost the opportunity to gain interest. I’m not saying never to do an Open House, because I think they have their purpose. I just think with the volume of searches taking place on this great big internet that we position ourselves to be in front of our potential market at all times, not just a 2 cent tour on a Sunday afternoon from 11a-2pm offering chocolate chip cookies and smooth jazz playing in the background.